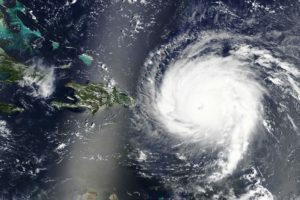 (Lindenwold, NJ) – The Camden County Office of Emergency Management (OEM) is offering residents advice on how to prepare their families and homes this hurricane season. It is important to remember that a disaster can strike at any time, and it is important to prepare in advance for the safety of yourself and your family. To prevent panic and confusion, making decisions prior to a disaster, such as creating a family disaster plan and preparing a disaster kit, should be a priority. Escape Routes: Draw a floor plan of your house. Use a blank sheet of paper for each floor. Mark two escape routes from each room. Make sure children understand the drawings. Establishing a place to meet in the event of an emergency should be determined. Family communications: Your family may not be together when disaster strikes, so plan how you will contact one another. Think about how you will communicate in different situations. Utility shut-off and safety: In the event of a disaster, you may be instructed to shut off the utility service at your home. Knowing how to turn off the gas, water, and electricity in your house may prevent any potential damage. Insurance and vital records: Obtain property, health, and life insurance if you do not have them. Review existing policies for the amount and extent of coverage to ensure that what you have in place is what is required for you and your family for all possible hazards. Special needs: If you or someone close to you has a disability or a special need, you may have to take additional steps to protect yourself and your family in an emergency. Find out about special assistance that may be available in your community. Register with the office of emergency services or the local fire department for assistance so needed help can be provided. Caring for animals: Animals also are affected by disasters. Make sure your pet has proper ID and licenses. Keep an ample supply of food and water, as well as any medications and materials to take care of waste. Microchipping your pet is strongly recommended in case your pet gets separated. Safety Skills: It is important that family members know how to administer first aid and CPR and how to use a fire extinguisher. Here are the most important items for your Disaster Kit. Stock up and store where you can get to them quickly. Medicines: Keep an updated list of family medicines and dosages. Keep two weeks supply of prescription medicines. Food: Keep enough food to feed the whole family for three to seven days. Choose foods that do not need refrigeration. Drinking water/containers: 1 gallon of water per person for drinking water, plus water for cooking and washing (minimum of 7 days). Stock up on cases of bottled water at home and office in case there is a “boil water” order. Infant items (medicine, sterile water, diapers, ready formulas, bottles), if needed. First aid book and kit. Flashlights, portable radio, and batteries. Plastic tarp, screening, tools and nails. Clean-up supplies, trash bags, toilet paper, and paper towels. Extra clothing, shoes, and personal hygiene items. Quiet games, books, and playing cards. Important papers and irreplaceable keepsakes (driver’s license, medical information, insurance policies, property inventories, photographs. As always, please use 911 for emergencies only. All non-emergencies should be referred to your local 7 digit non-emergency numbers. Camden County will provides regular updates in advance of and during storms affecting our area at www.camdencounty.com and on social media.